Mark became involved with running during his sophomore year at Howard High School when he joined the Cross Country team. While he enjoyed running 5Ks, he found that my abilities were more suitable for shorter distances. 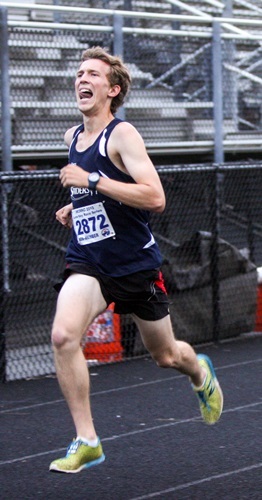 Mark decided to try out for the Track team in the spring of his junior year, and achieved his high school goal of running a sub 5:00 1600m during his senior year. Mark earned a total of five varsity letters in high school between Cross Country and Track, as well as Scholar Athlete awards and “Runner of the Year” award for Cross Country. He was part of the intramural running team at University of Maryland College Park in 2011-2012, and is currently a member of the UMBC intramural running club. Mark’s short-term goal includes breaking 17 minutes in the 5K.